So what do we mean by ‘Substances Hazardous to Health’? In legal terms, these are substances that are classified as “very toxic, toxic, harmful, corrosive or Irritant” under the Classification, Labelling and Packaging Regulation (CLP). This was a new regulation that came into force in January 2009 dovetailing with a set of regulations called REACH. REACH is a European Union regulation concerning the Registration, Evaluation, Authorisation and Restriction of Chemicals, which came into force on 1st June 2007. One of the main aims of REACH is to provide a high level of protection for human health and the environment from the use of chemicals. 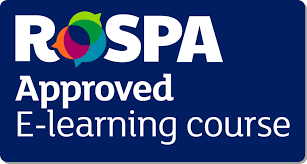 This Control of Substances Hazardous to Health (COSHH) online training course (approved by RoSPA) costs £25 per candidate.